Tips are made of semi-rigid plastic. They simply slip over your existing tips for those times when you want to expand the function of your Impulse. Comes in Blue, white or black. 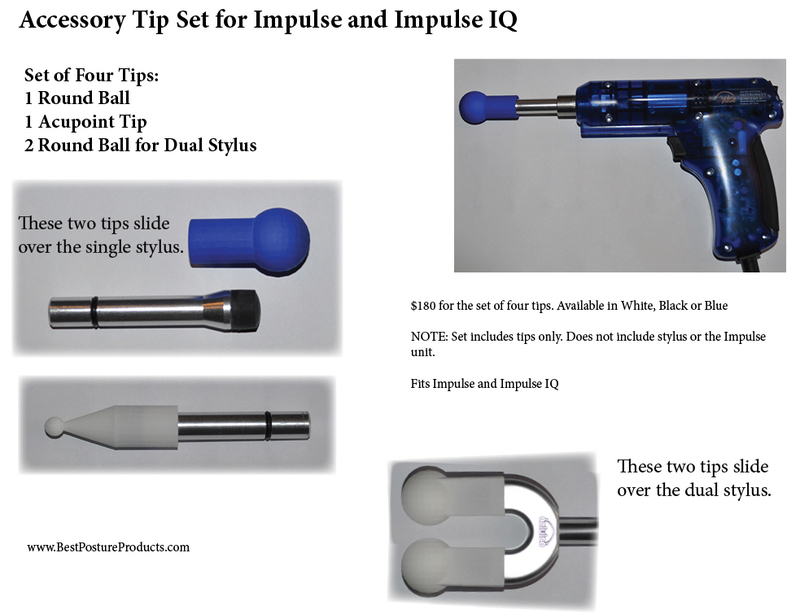 Click the button below to add the Impulse Tip Set to your wish list.